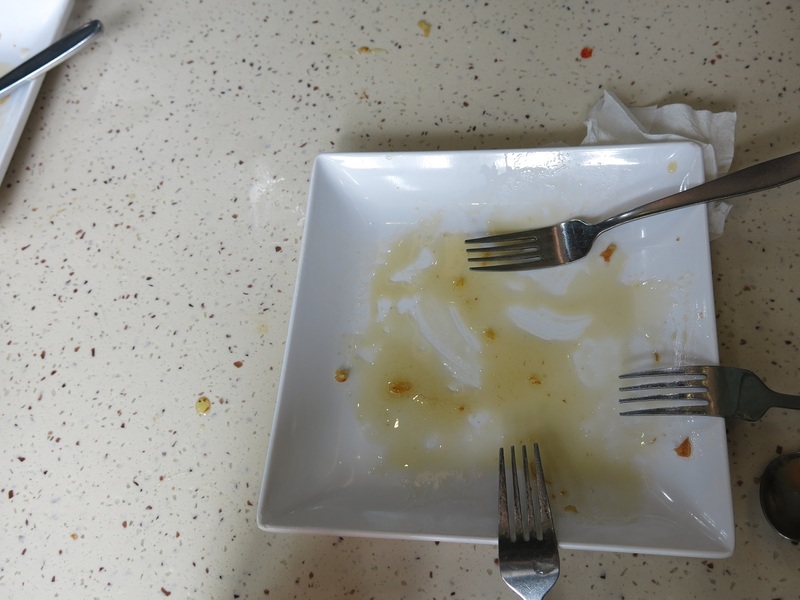 At the top of this blog, there’s a picture of a mysterious fried square thing on a plate. 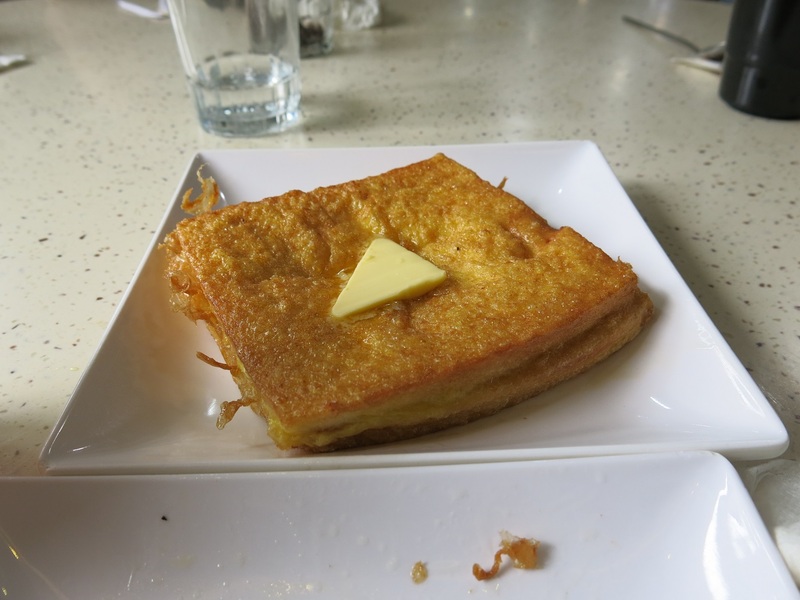 It’s secret identity shall now be revealed as … Hong Kong French toast. It’s not French and it’s not toast. It has has so little nutritional value that perhaps it isn’t technically food either. 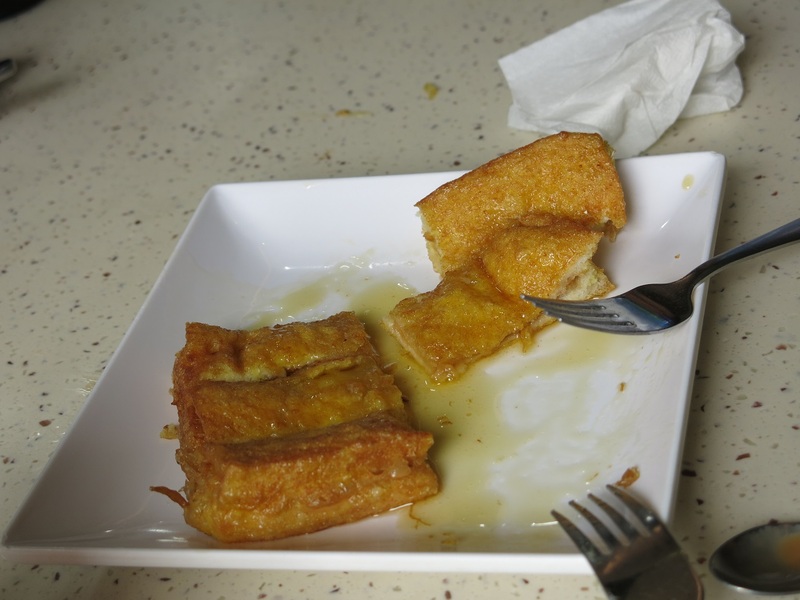 It is, however, one of our favourite Hong Kong special snacks. And a piece of bonus butter. Sharing the bounty of saturated fat and refined sugar.